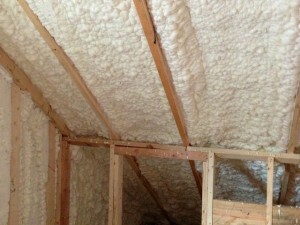 Atlanta Closed cell foam insulation is one of the two types of spray foam insulation. The main difference between closed and open cell insulation in that the former has multiple encapsulated cells which let neither air nor heat seep through while the latter is a porous structure of foam. The difference arises due to the base chemical used to produce the foam. Atlanta Closed cell insulation foam uses polyurethane and is available in many densities and R-values. This insulation is ideal for insulating walls as well as attics. It’s sprayed into cavities of unfinished walls and on the underside of attic roofs. Finished walls can also be insulated by simply pushing in the foam into the cavities through holes. Apart from preventing heat flow, it also creates an air tight seal around the house by sealing leaks, cracks and gaps. Atlanta Closed cell foam insulation in impermeable and does not absorb moisture and hence is effective in inhibiting mold. Cement containing the closed cell variety is fireproof. Moreover, it also provides acoustical insulation to your space and adds stability to its structure. It is applied in small quantities and is simple to use when compared to batts and blankets which need to be resized and cut out. Commonly used types of Atlanta closed cell insulation are polyicynene, polyisocyanurate, polystyrene, and icynene spray formula. Open cell insulation is permeable to moisture as well as water and this can lead to mold growth inside the foam which can be very hard to treat. Atlanta Foam that has the closed type of cells has no such problems. It provides superior insulation with R-values ranging from 5-8 per inch while open cell foam has typical R-values of 3-4 for the same thickness. This means a thin layer of Atlanta closed cell foam provides twice as much insulation as open cell foam does. Not only this, Atlanta closed cell foam insulation is stronger and needs no trimming which is required in the case of open cell foam. Have you put down fiberglass insulation but still find that you’re cold in the winter – even in your own living room? Too much cold air is finding its way in through the cracks and crevices in your attic. 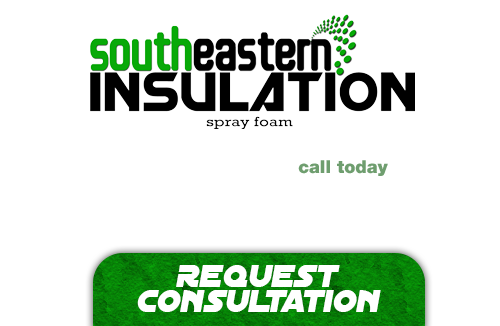 Atlanta Closed cell foam insulation is what you need to put an end to those chilly nights in your own home.